band WISHBONE ASH. 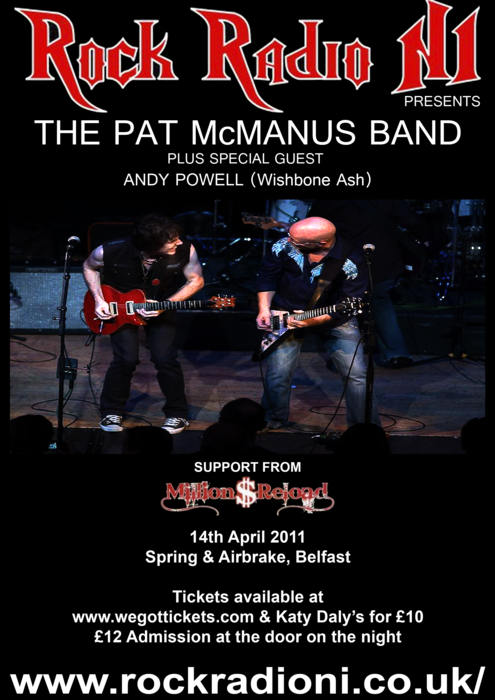 Together they will perform songs from both the Pat McManus band and Wishbone Ash. Supporting will be non-other than the sensational MILLION DOLLAR RELOAD. Price: £10 if you buy a ticket from www.wegottickets.com or the CDC Box office. £12 admission at the door on the night.